In a period of absolutely remarkable progress, "organized" medicine (if only it were!) faces some major challenges. The very technology which lies at the core of its success has also provided the seeds of discontent with the depersonalized way the technology is delivered. Physicians are busier than ever arranging, performing, and interpreting increasingly useful and powerful diagnostic and therapeutic procedures. Managed care systems, grown out of the perceived need to control the expenditures engendered from the technology, are no less frustrating to the concerned consumer than to the frustrated physician. The "media" serves up health "information" in ever-larger portions, much like ballooning masses of cotton-candy, devoid of real content and context. These factors are very frustrating to me as a physician, but when I consider my patient's perspectives, I have to realize that they face even larger challenges than my profession. The solutions to these problems are complex, and will never be quite satisfactory. HeartPoint does try to address those needs relating to the need for understanding the nature of diseases and their treatments. 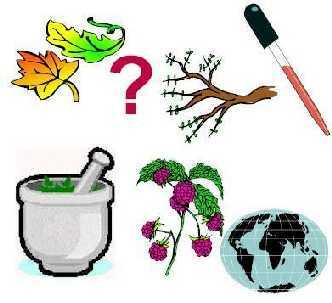 Another offshoot of these factors is the growth of alternative, complementary and/or herbal remedies. Herbal remedies in particular provide a means for people to regain some personal control in the developing impersonal system. Based on information from peers (or more approachable alternative healthcare providers), one is able to walk into a supermarket or store and devise and deliver to themselves a regimen to prevent and treat problems either major or minor . . . and some of it certainly seems to work! Each consumer is empowered as their own physician. This will not go away soon if ever. Having learned with certainty that I don't have all of the answers, my own approach as a physician to complementary therapies is the same as my approach to more conventional fare: "show me". I still attempt to practice "evidence-based medicine", and work to keep HeartPoint responsible to levels of knowledge and proof so that it can be relied upon. It has been a pleasant experience to find that vitamins such as E, B-6 and folate actually work. Two of the great therapeutic agents in cardiology, aspirin and digitalis, have their "roots" in herbal medicine (willow bark and foxglove, respectively). It is highly unlikely however that all of the herbal remedies currently touted are effective, or will even be studied. We will venture into this less certain area below, not demanding the "proof" generally demanded in medicine, but with a strong committment at least to the relative risks and benefits of each therapy. Complementary forms of medicine have the potential to help. First of all, not all knowledge automatically flows through "mainstream" medicine. There is much to learn, and while mainstream medicine has a very good technique and track record, this does not mean it will automatically garner all good things. Complementary medicine offers the ability for people to take more responsibility for their own healthcare . . . this is a good thing. I furthermore hope this personal care starts with exercise, proper nutrition and other proper health habits. Complementary medicine offers the danger of people taking charge of their own healthcare . . . this also has great potential to be a bad thing. While mainstream medicine is not perfect in many ways, it does remain an enormous resource of knowledge and expertise. It is highly unlikely that consumers or practitioners who have lesser training will be as effective over the long run. There is danger in what herbal medications can do: that is, they are not free of side effects. Your health will benefit from having a traditional physician who you trust. Obtain his/her recommendations regarding health issues, and consider this knowledge and wisdom very seriously. Be sure and keep your traditional physician aware of complementary techniques, particularly drugs and herbs, that you have chosen to use ("Don't ask, don't tell" was a bad idea in politics, too).